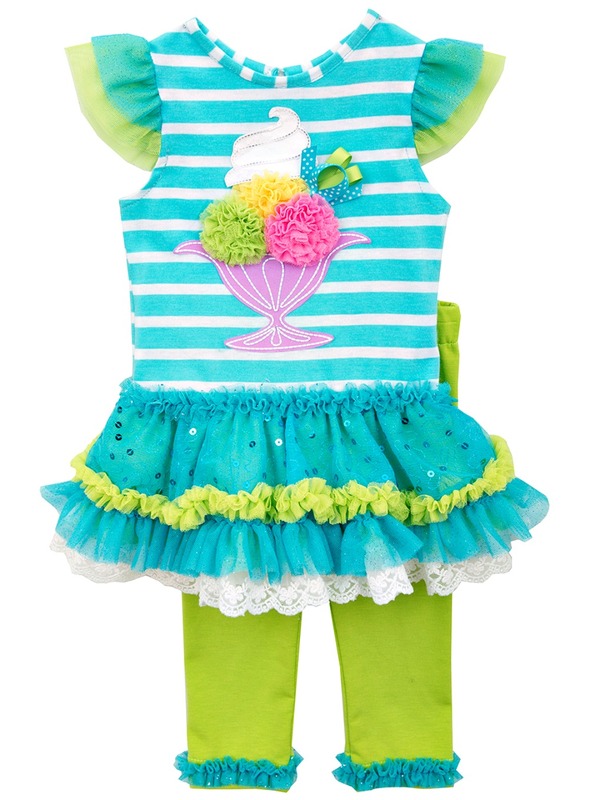 Adorable turquoise striped knit legging set features colorful ice cream sundae soutache design on short sleeve tunic top. Organza ruffled sleeves and hem. Matching stretch leggings with ruffled hems complete the look. Machine wash. Imported.